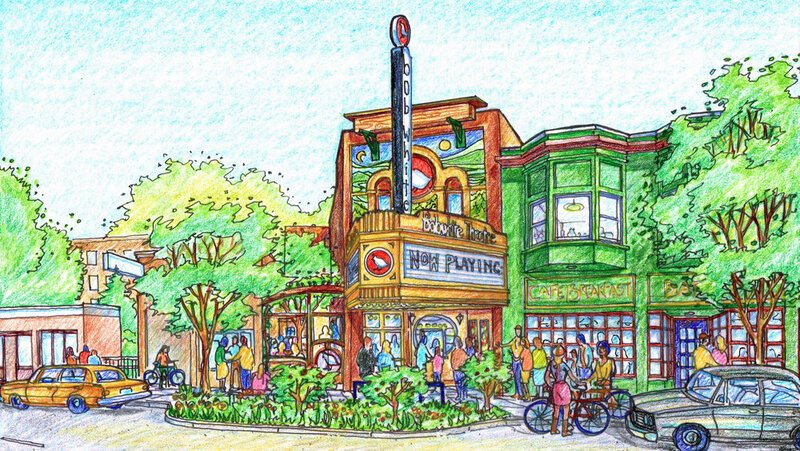 This project included several years of collaboration toward the revitalization and future of the Historic Bobwhite Theatre. Our services included creating full architectural drawings of the current building conditions, generating schematic designs options, code studies, site documentation, and conceptual renderings for fund raising, to name a few. We also assisted the client with Portland Development Commission (PDC) grant funding, including generating a ProForma, coordinating with consultants, and compiling the Development Opportunity Service Report for PDC. Revitalizing a historic cultural space.